Minnesota’s One State, One License coalition got an early start, rallying at the legislature on the session’s opening day. 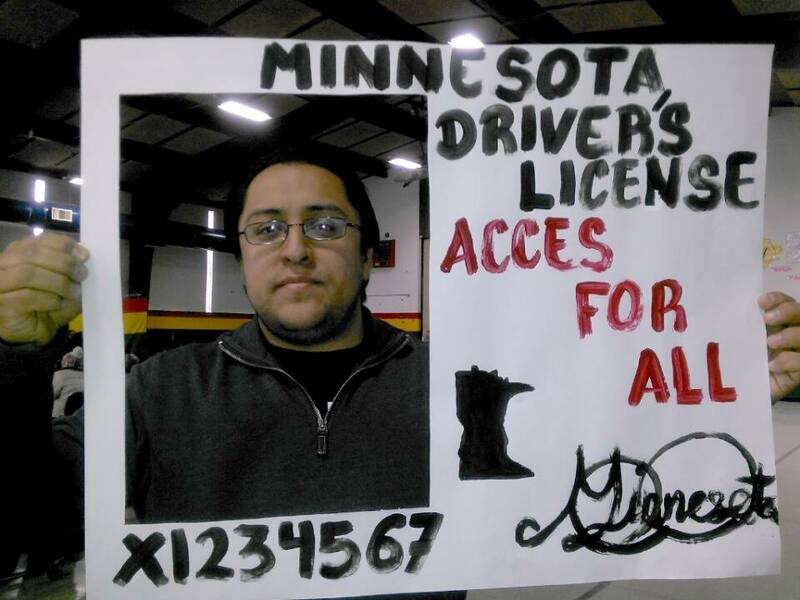 The coalition wants all Minnesota residents, regardless of immigration status, to be able to take the driver’s license test and qualify for a license. They also want all licenses to look the same, without special marking for immigrants’ licenses. New Mexico’s experience supports the argument that licensing undocumented immigrants helps all the residents of the state. After implementing the law in 2003, New Mexico’s rate of uninsured motorists fell dramatically. In addition, licensing all drivers supports economic participation and traffic safety. The California law establishes a special marking for licenses issued to undocumented immigrants. That’s something Minnesota organizers want to avoid. In Arizona, thousands of DREAMers began applying for drivers licenses in December, after the Supreme Court struck down Arizona Governor Jan Brewer’s executive order barring them from eligibility. The DREAMers are young people who registered under President Obama’s Deferred Action for Childhood Arrivals. The Supreme Court action leaves Nebraska as the only state barring DREAMers from getting drivers’ licenses, and a case challenging Nebraska’s ban is moving through the courts.